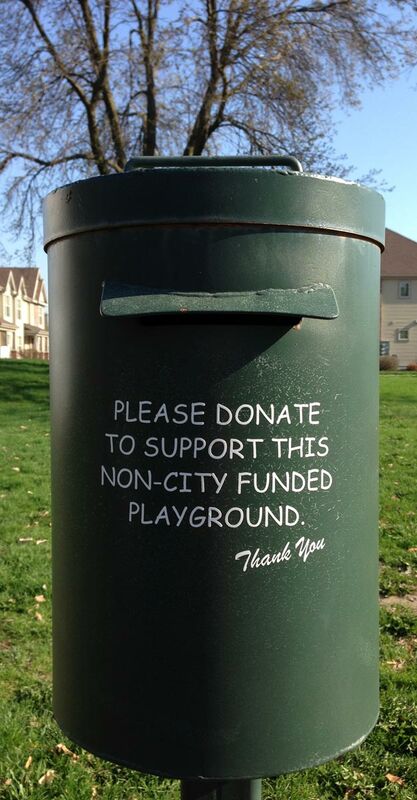 Since we are NOT funded by the city of Sun Prairie, your generous tax free donation helps with annual repairs, adding new equipment, stocking/cleaning bathrooms, maintaining the 100-year-old Oak trees, and much more. Whether you donate $5 in the donation canister at the park, mail a check, or donate online today, your gift makes a difference! Everything we provide is FREE! It has been proven that parks increase happiness and decrease stress in the individuals that have access to them. The Sun Prairie Dream Park provides a space lush, green and full of large trees where physical activity is encouraged. The best part? It costs you nothing. Whether you visit us to celebrate a special occasion or just enjoy the fresh air, it is affordable to everyone. The importance of parks can also be seen in the economic benefits they possess. We love being located in beautiful downtown Sun Prairie! Our location makes it easy to order a pizza to be delivered while you play, stop for coffee on the way, or treat yourself to a wonderful lunch on the way home. Our volunteers work hard to keep the dream park clean and well maintained so that we are sure to increase in property value, business traffic and, in the end, the tax base of that community.